Zwartbles Young Breeders this section of the website is for YOU!! It has been introduced to promote the breed amongst keen young people throughout the United Kingdom and Ireland. Anyone aged under 18 can join the Association as a junior member at a reduced rate, giving them all the benefits of full membership except a vote at the AGM. Upon the junior attaining 18 years of age the membership is automatically transferred to full. If it is a membership of siblings jointly it becomes a full membership on the age of the oldest member. Young Breeders can participate in all events, shows and sales held by the society for our adult members. 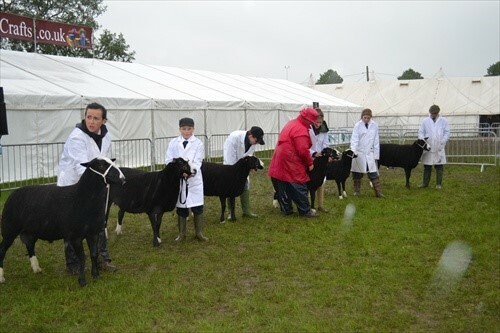 The Young Breeders pages of the website are intended for them to show their skills, and how they enjoy their sheep, as well as making like-minded friends throughout the UK. Events will also be organised for the young members at shows and other locations. We want to hear what you are up to with your sheep and how you are getting on with them be it showing, lambing time, the joys of owning them or any questions you have. To abide by the rules to start with the first thing you have to do is fill in a parental consent form it’s quick and easy and can be done by clicking on the icon below.